Confused about spatial awareness? We’ll provide you with a spatial awareness definition as well as activities you can do to support your child’s growth. So what is spatial awareness? You’ve probably heard the phrase before, and many people have at least some idea of what it means. The short definition of spatial awareness is awareness of yourself in any given space, in relation to all other people and objects in that space. As adults, we practice spatial awareness all the time without thinking about it. It’s how we avoid running into things, as well as how we navigate. Young children are still learning to develop spatial awareness, and it takes time. To better understand spatial awareness, there are some other phrases we should probably define. The following are some concepts that are part of spatial awareness, and that will be helpful to understand as your child develops this important skill. Spatial skills are the skills necessary to locate objects in three dimensions using touch and sight. Spatial ability is something that you may still be working on as an adult. Your spatial ability is determined by your aptitude in thinking about objects in three dimensions and making deductions about them from a limited perspective. This skill is integral to success in many STEM fields. Spatial intelligence is what you take advantage of when you drive. It helps you navigate complex three dimensional scenarios where you need to observe and interpret the shape, size, direction and trajectory of objects around you. Spatial perception describes the way your brain processes the physical relationships between objects. This type of perception takes advantage of visual perception, depth perception and motion perception. Spatial-temporal reasoning is the ability to visualize how objects fit into a three dimensional space or pattern. This sort of talent lends itself to things like puzzles, as people with this talent can visualize the finished product and how the pieces fit into it. Spatial sense is usually discussed in terms of how it relates to students studying geometry in school. But besides using it to complete a math worksheet, it’s also very useful for certain types of inquiry-based science. It describes a person’s ability to understand and visualize three dimensional space and how objects fit in that space. Body awareness is your child’s awareness of their own body, and where it and it’s constituent parts are in space. Spatial awareness is a skill that we continue to work on and develop throughout our lives. You can help your child improve their skills and set a strong foundation for the rest of their lives by challenging them with fun spatial activities. We have compiled a few ideas to help you get started. Any kind of puzzle, from classic jigsaw puzzles to things like tangrams and even Legos, will help your child with spatial awareness. These games allow your child to practice their problem solving skills by recreating patterns or imagining how different pieces can fit into a given space. 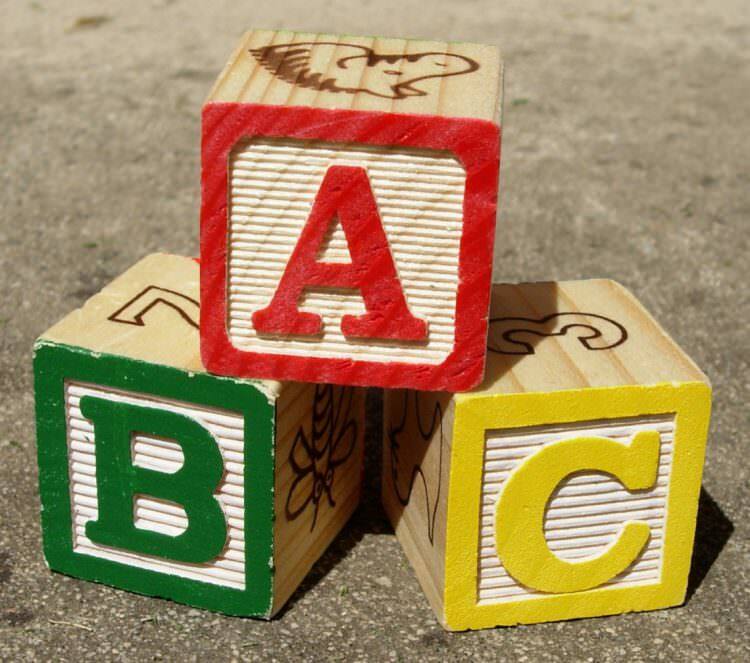 Blocks are an excellent, simple toy that help your child learn many different things about the physical world around them. They help teach children about gravity and how objects interact with one another. They’ll also be valuable in reaching many other milestones, such as those associated with balance development and fine motor skill development through grasping. Nesting cups are a great way to introduce the spatial concept of “container” and “contained.” Challenge your child to experiment with how objects fit within one another. This is a great experiment in spatial relationships. Playing with a hoola hoop is a gross motor activity that helps your child practice both anticipating the trajectory of an object and moving their body to influence that trajectory. It’s also a ton of fun! It may be a skill for an older child, so one way we recommend playing with a hoola hoop and your toddler is to roll the hoola hoop and your child go chase and catch it. One of our favorite preschool activities is an incredible exercise in body awareness and gross motor skill. The hokey pokey challenges your child to think about their limbs and where they are in space. Your child’s spatial awareness begins to develop from very early childhood, and it’s a skill they will practice and refine throughout their lives. At ADAM and Mila, we believe that understanding your child’s milestones will help you to know how to better support their development, so we’ve included a helpful guide below to your child’s spatial awareness developmental milestones. Development Milestone emerges from age 2 to 4 months. When given two interesting objects (colorful, noisy, or otherwise desirable) your child looks between the two objects, acknowledging each separately. Development Milestone emerges from age 4 to 6 months. When you hold an object within your child’s reach, they’ll reach for it and attempt to grab it. This will probably take a few tries as your child is still trying to understand their depth perception and how far away an object is. Development Milestone emerges from age 5 to 8 months. When you repeat a movement with an object, the child anticipates the movement even when the object disappears from view. This can be observed by moving an object back and forth and briefly moving it behind another object that obstructs it. Your child should look to the other side of the obstructing object, expecting the moving object to reappear on the other side. Development Milestone emerges from age 6 to 8 months. 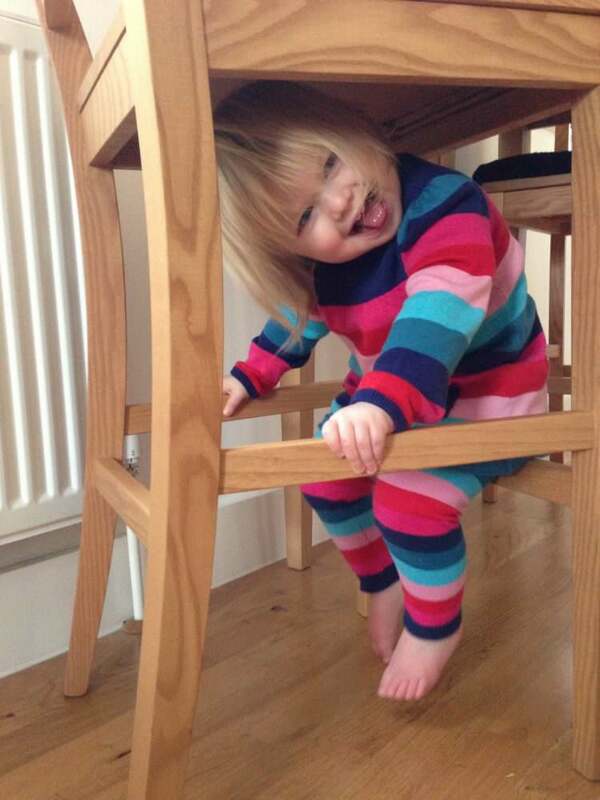 When an object falls from your little one’s high chair, he or she will look for the object on the floor even if they didn’t see where it fell. They are demonstrating that they are beginning to understand where objects will travel through space. Development Milestone emerges from age 9 to 11 months. Your child is starting to understand that things can be contained within other things, and that those things can also be removed from those other things. They may demonstrate this knowledge by removing objects from containers one at a time, or by dumping all objects from a container onto the floor. Your child will examine all sides of an object to find the side that is most desirable or actionable. This shows that the child is beginning to understand the three dimensional nature of objects. Your child will begin to throw their toys, and show interest in watching them fall to the floor. This can be observed when your baby throws his or her toys, pacifier, or bottle out of his crib. This doesn’t always mean your child dislikes the object thrown, but you can check to make sure by offering it back to her and most of the time she will take it right back. When presented with a large ring stack toy, the child will begin to pull the rings off the toy. You may observe this milestone by simply handing your baby a large stacking toy and seeing if he takes off the rings. If he doesn’t, you may want to show him how to do one then see if he can. Development Milestone emerges from age 12 to 13 months. Developing on top of the spatial reasoning they started with taking objects out of a container, your one year old will practice placing objects in a container, and then taking them back out again. Your child should be able to do this with at least three objects. This is also a sign of your child’s ever growing fine motor skills. When your little one sees a ball roll out of sight, they’ll directly go look for it in the place where they saw it disappear. You could practice this skill with your child by playing with her and rolling a ball back and forth. Then, “accidentally” roll the ball so that it is hidden out of sight and invite your child to find it. Development Milestone emerges from age 12 to 16 months. Your child stacks a block or other cube shaped object on top of another block without the tower falling over. If your child does not naturally do this, you can build a tower and knock it over then invite him to build one too. Development Milestone emerges from age 13 to 15 months. Tie a string to a toy that your child loves and offer them the string. At this stage, your child understands that if they pull the string up towards them it will bring the toy with it. Make sure the object tied to the string is lightweight and something that interests your child. At this point, your child will begin to replace the rings on the ring stack toy. They’ll add at least two rings to the stack. You can show your child how to do this by taking the rings off and then putting one or two back on, then inviting your child to put the rest back on. Development Milestone emerges from age 12 to 18 months. If a toy rolls under an object such as a couch or chair, your child will look for it on the other side of the obstacle instead of trying to follow the path of the object directly. Development Milestone emerges from age 13 to 19 months. Your child now understands that they can use gravity to get objects out of containers that they can’t reach into. Place a small item in a narrow neck bottle and observe your child turn the bottle over to retrieve the item without help. Development Milestone emerges from age 15 to 18 months. When you ask your child to retrieve an item located in another room, they are able to locate the item based on your description of where it is or where they expect it to be. Your child is developing the ability to visualize an item in a familiar place without seeing it. Hand your child a picture they recognize upside down. The child should, without being prompted, rotate the picture to face the proper way. You may incidentally observe this when your child accidentally opens a book upside down and turns the book around right side up. Development Milestone emerges from age 24 to 27 months. At this age, when you read your child’s favorite picture books, your child will start to point out details of the pictures. This could include ruffles on a dress or the tail on a monkey. Your child is starting to understand these details as parts of a whole. Development Milestone emerges from age 30 to 36 months. At this age, your child will be able to complete a three or four piece puzzle containing an image of something they recognize. It might be helpful to first show your child the puzzle completed then take it apart and have him put it back together. At ADAM and Mila, we love exploring developmental milestones and passing along the best information to parents like you. There are many more developmental milestones to explore. For more tips and information, take a look at our other posts such as this one on cognitive development or this one about baby developmental milestones. Play is a powerful tool for growth, and learning activities make for a great way to maintain your child’s attention while teaching. There are many more activities that will help your little one’s development through a variety of milestones. Explore our resource for activity suggestions. It can be stressful to worry about whether or not your child is reaching their milestones. It’s a challenge that as parents we all face, but it’s a challenge that we can overcome together. Check out our actionable guide for addressing concerns about developmental delays. We hope that you found this article helpful, and if you did, that you’ll pass it along to someone else who could use it! Please leave us some feedback to let us know how we’re doing, and what we can improve.